One of my favorite ice cream flavors has to be Ben and Jerry’s Cherry Garcia. I’ve been quite remiss not making an allergy safe version for the kids, as it’s such an easy flavor! I had some extra “chocolate shrapnel” left over after dipping the Cadbury Creme Eggs for Easter, so it worked out perfectly. Judging by how quickly the batch evaporated, I think the kids share my passion! Add the remaining 2 1/2 cups of creamer, oil, and grenadine syrup. Whisk until smooth and the marshmallows are all melted. 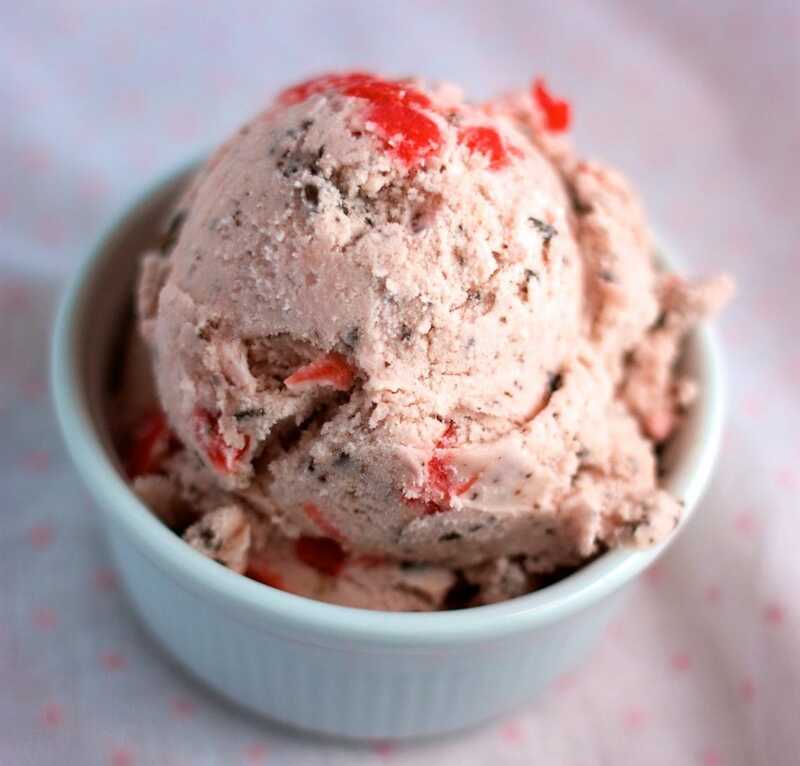 Don’t add the cherries and chocolate into the ice cream until it has fully frozen in the ice cream maker. Then just mix the chocolate and cherries in by hand. If you try to add them in while the ice cream maker is running, the volume will be too great and your ice cream maker will overflow. So great to find you on Tastespotting! Thank you. Wow! Thanks. I’ve never posted anything there, thought I’d give it a try today. I must have done it correctly. 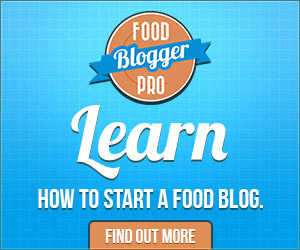 Is it ok if I add you to my blogroll? I lost my entire blogroll when I transfered from Blogger to Wordpress last week, so I’m starting from scratch…which is kinda fun because I’m finding new sites. Hi! Found you via foodgawker… I’m currently dairy-free as my breastfeeding daughter is allergic to milk proteins. Thank you SO MUCH for this awesome ice cream recipe!! I’ll try it with a rice milk-based creamer substitute, as she’s also allergic to soy (as is often the case with milk protein allergies, unfortunately). Wow! Looks like my first post to FoodGawker worked out too! Thanks for the grenadine recipe, that’s cool. I haven’t used the Silk coconut creamers much, but that’s another option. Oh yes, a coconut creamer…that would be even better! FYI: I have tried the basic vanilla recipe with coconut creamer and then again with a mix of coconut and soy creamer. The resulting ice cream is harder to scoop since the coconut creamer is more watery. I also froze coconut yogurt thinned with coconut creamer which scooped better. Happy experimenting. I am so excited to try all of your dairy free ice cream recipes! My son has several food allergies (including soy so we will be trying with rice milk) and I just got an icecream maker this Christmas so we will be busy trying them out over the next few months. Thanks for sharing! Good luck, report back on how this works with rice milk. Coconut creamer is getting cheaper and might be an option too!